Firstly, Q1, Q2 and Q3 have been retained, but will be longer at 16-mins, 15-mins and 14-mins respectively. Next is the new knockout system. After 7-minutes of Q1, the slowest driver will be eliminated every 90 seconds - until seven drivers have left the track and the chequered flag has fallen. 15 drivers progress into Q2, and after 6-minutes the slowest driver will be eliminated every 90 seconds - until another seven drivers have left the track and the chequered flag has fallen. 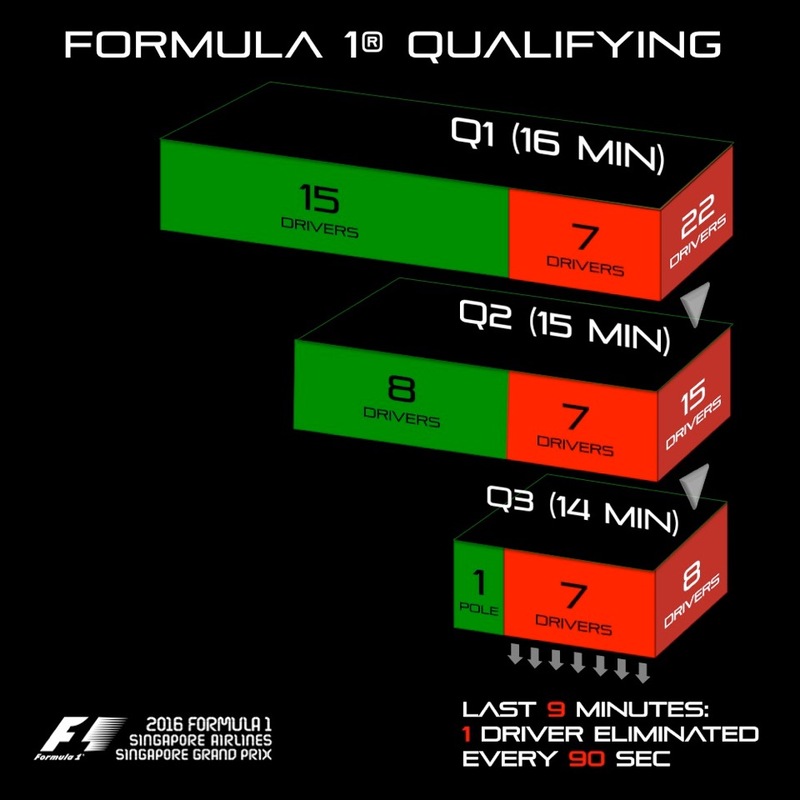 Now eight drivers progress to Q3, and after 5-minutes the slowest driver will be eliminated every 90 seconds - until two drivers are left in the last 90 seconds, battling for pole position. The FIA World Motor Sport Council has officially approved the decision to revert to the 2015 Qualifying format for the remainder of the 2016 F1 season.